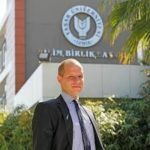 Associate Professor Emre İşeri is currently the chair of the Department of International Relations, Yaşar University, İzmir. He is also an associate member of the Editorial Board of the Journal of Global Faultlines. His areas of current research agenda include energy policy, political communication, Euro-Asian politics and Turkish foreign policy. He published articles/chapters in numerous books and journals, including Geopolitics, Journal of Balkan and Near East Studies, Energy Policy, Turkish Studies, Security Journal, South European Society and Politics (SESP), European Journal Communication (EJC), and Environment and Planning C: Politics and Space. “ Geopolitical Economy of Russia’s Foreign Policy Duality: Lockean in its East and Hobbesian in its West.” Rising Powers Quarterly, 1.1 (2017): 53-79. (with Volkan Özdemir). “Turkey’s Entangled (Energy) Security Concerns and the Cyprus Question in the Eastern Mediterranean” in Alexis Heraclides and Gizem Çakmak (ed. ), Greek-Turkish relations in the 21st Century, Routledge (forthcoming). “Turkey’s Grand Strategic Vision and Energy Concerns in the Eastern Mediterranean Security architecture” (with Ahmet Çağrı Bartan).